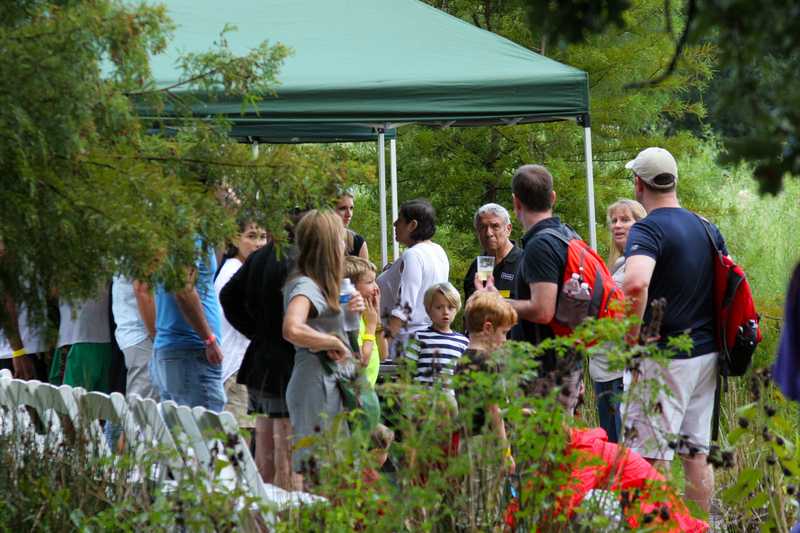 Gathering around the meadow for the Houston Arboretum’s HAWK WALK with Live Birds of Prey! Kevin Gaines of Wildlife Revealed introduced us to Cricket the falcon. 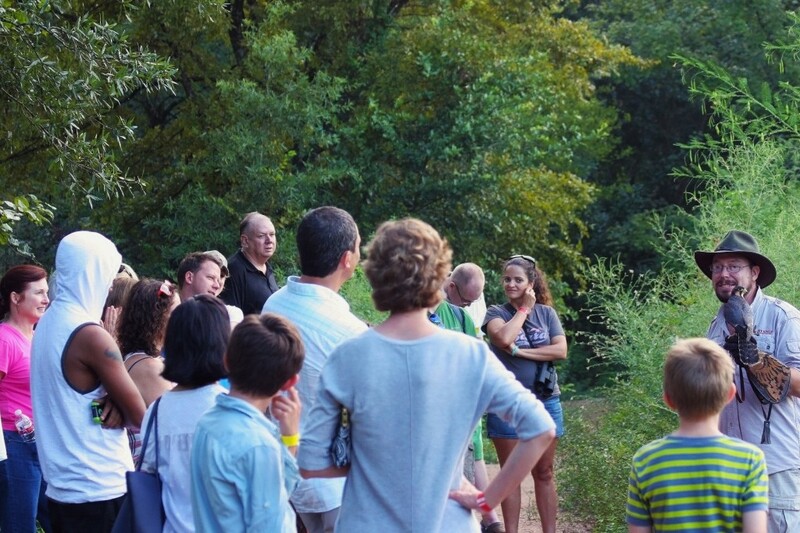 Participants to the Arboretum’s HAWK WALK had a night to remember this past Saturday. Upon arrival guest made their way to the meadow about a quarter mile from the main entrance. 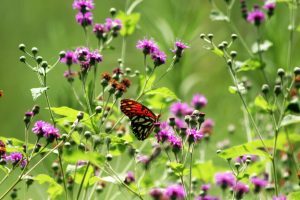 This time of year the meadow is truly spectacular; wildflowers of purple, blue, pink, and white speckle the tall silver prairie grasses making for a worthwhile trip even without the incredible opportunity to see live birds of prey. 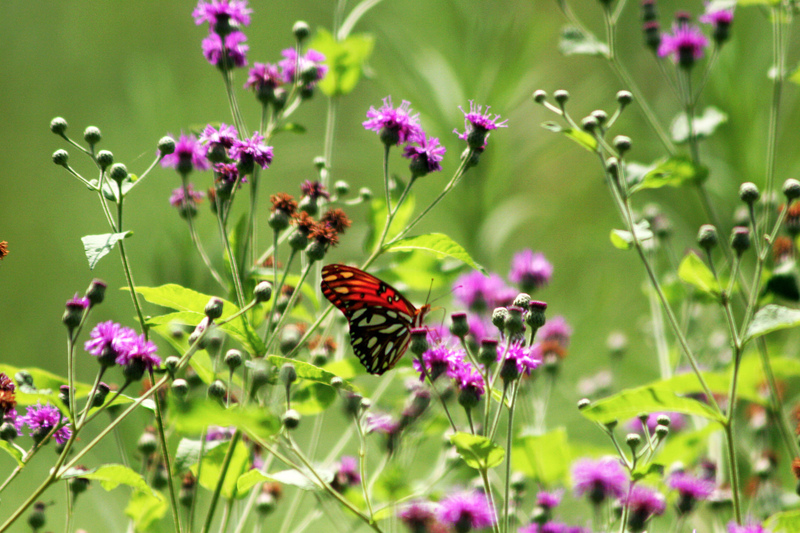 Butterflies in the Houston Arboretum meadow before the HAWK WALK with live birds of Prey! The birds of prey were brought to the Houston Arboretum by Wildlife Revealed, a team that rescues and rehabilitates wild birds some of which are unable to live on their own due to injuries or other complications. You can tell by listening to their stories, and watching them interact with their birds that they truly love what they do. All the members of their organization talk about habitat conservation and how we can make this world a better place for us and for our wild birds. Guest to the Houston Arboretum’s special event, HAWK WALK – with live birds of prey! Next to the meadow on the deck overlooking the pond the Arboretum had tents set up to shade guests from the sun and possible rain showers. Refreshments, snacks, beer and wine were offered at no extra cost for that added bonus. The live birds of prey were stationed around the meadow so as you make your way around you stop at each station and meet your next bird. Kookaburra at the Houston Arboretum’s special event HAWK WALK with Live Birds of Prey! 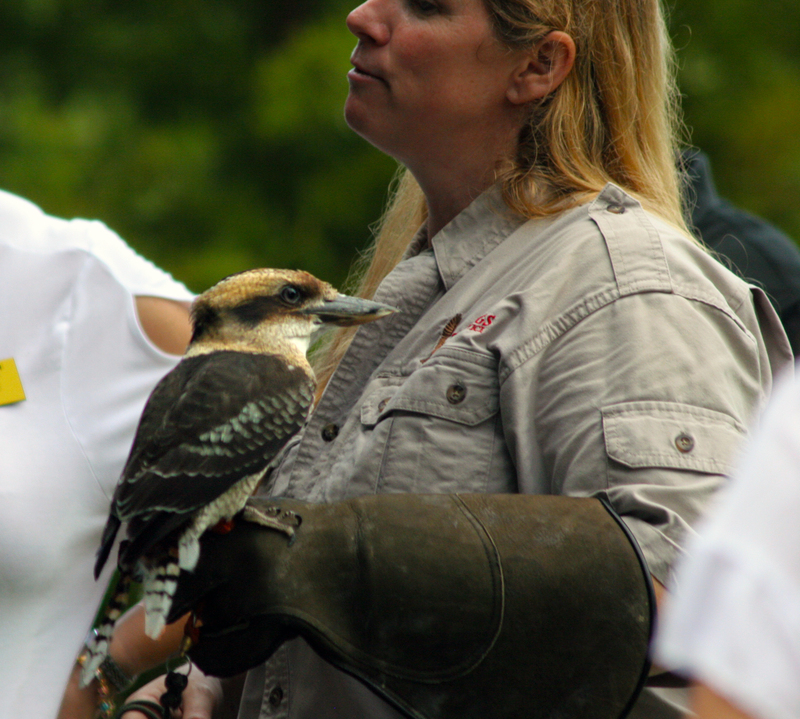 The first bird we had the pleasure to meet was a beautiful kookaburra perched on the arm of one of the members of Wildlife Revealed, the organization who brought the birds to the Arboretum. Kookaburras are native to Australia and have a call that sounds similar to human laughter. 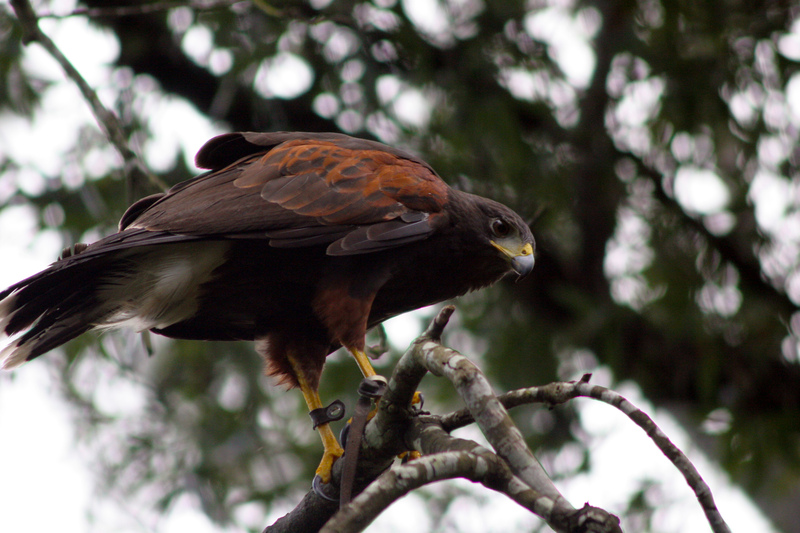 Tango the Harris Hawk at the Houston Arboretum’s HAWK WALK with live birds of prey! Next we ventured down the trail to meet Tango the Harris Hawk. This hawk made adorable noises and chirps while fluffing his feathers for us. But don’t be fooled! Tango is a fierce hunter and dives out of the air when his prey is spotted below. Widget the Owl from Wildlife Revealed at the Houston Arboretum’s HAWK WALK with live birds of prey! This lovely owl is Widget. Widget flew from perch to perch without making a sound, her soft feathers and sharp eyes make her an excellent hunter at night. 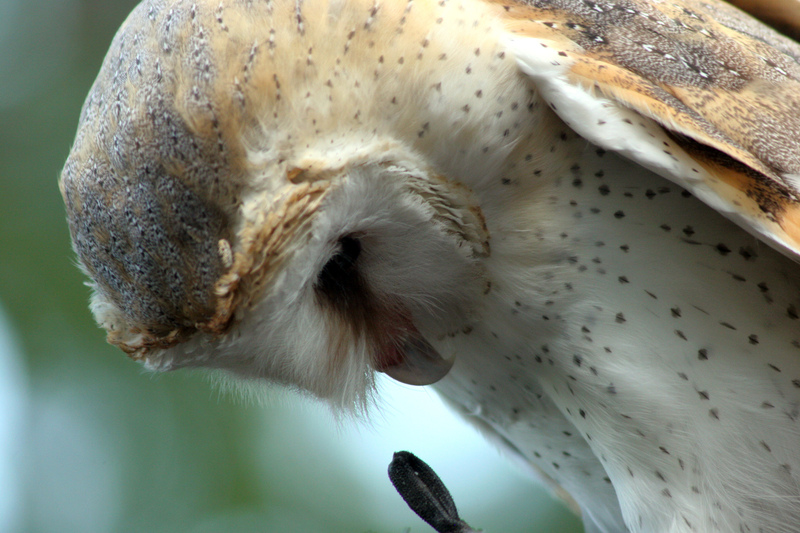 An owl’s vision is several times the strength of ours allowing them to expertly spot prey in the dark on the forest floor below. 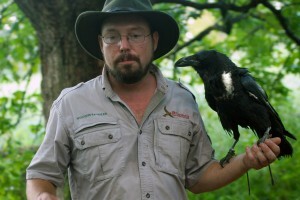 Kevin Gaines from Wildlife Revealed and Lenore the Raven at the Houston Arboretum’s HAWK WALK with Live Birds of Prey! Lenore is a feisty and obviously very intelligent bird. In fact, Kevin Gaines from Wildlife Revealed informed us that ravens are the most intelligent of all birds. They can learn to speak, be taught tricks, figure out how to open gates, and even take dollar bill donations from participants! She made at least $10 from guests at the HAWK WALK by using her beak to take dollar bills and place them into the donation box. Clever girl! Lenore is learning how to sort recycling by placing items in different color receptacles. She teaches us that if a bird brain can do it, then we can too! 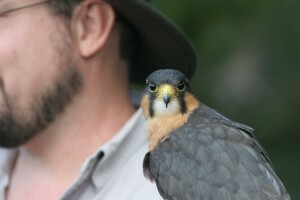 Cricket the Falcon at the Houston Arboretum’s HAWK WALK with Live Birds of Prey! This is what we were all waiting for! Cricket is a beautiful falcon who flew over all of our heads for a yummy reward. We learned that the peregrine falcon is the fastest of all animals – with speeds recorded at record 280 MPH! !